That is figuratively calling everyone who watches it stupid. It's dancing around them going "lalalalalala idiots"... It is writing stupid across their foreheads. And none of them realised it. It looks like the device did have real sensors, but not what you would call a "serious" bit of scientific equipment. Oh good find. I feel another wind-up coming on. My GF is an avid watcher, but never when I am in the room, as I just laugh. Yeh, I usually leave the room as my wife gets annoyed with me if I watch it at all. But I walked in just as they showed this on screen... Pause and rewind has it's uses on the old Sky+ box. My favourite moment was wandering in from the pub one night when my wife was watching a "live" episode and I heard the presenter say "Ooh I feel like I'm being watched." Really? On live TV? You'd certainly hope so. 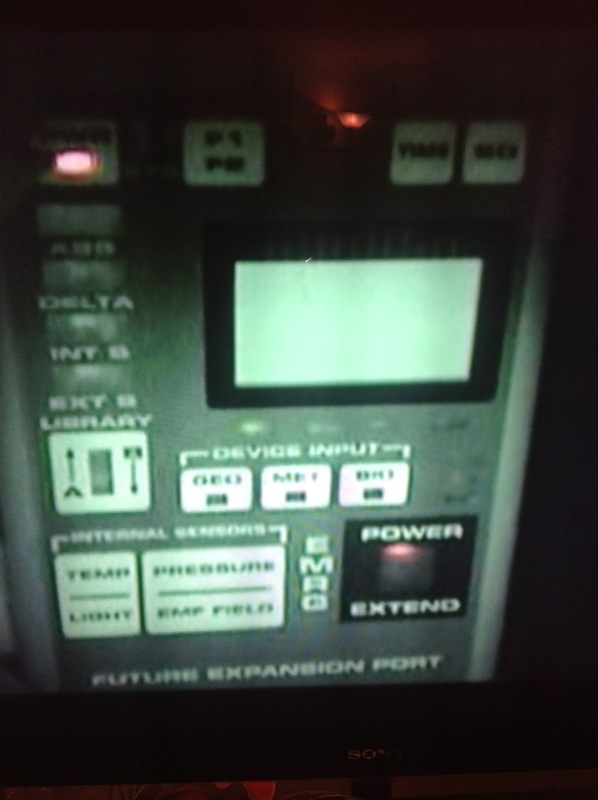 I actually remember reading about an electronic, programmable, sensor device produced some years back that actually was deliberately made to look like, and even sound like, a tricorder. This is probably one of those. I see there are quite a few Tricorders on eBay, most of them kids' toys, but one of them is described as "Working" - and it's only US$675! There's an app for Android that implements a bunch of environmental sensing with a tricorder look-and-feel (including the noise). Gravity and acceleration, magnetic flux, acoustics (noise level and spectrum analysis), RF (cellular and WLAN bands), GPS satellite plot and detailed readout, solar activity (pulled in from the 'net, which is cheating). We were watching a DVD of it the other night and as soon as the supposedly skeptical 'parapsychologist' pulled it out and called it a tri-field recorder, I recognised it as a barely functional toy tricorder, turned to my girlfriend and said that any credibility that he had as a skeptic was dashed the moment he pulled out a star trek toy. Not sure what everyone's problem is here.. This is not a toy as has been suggested! It's a serious bit of kit that just wouldn't be very useful to the average person, something that could be said about most scientific equipment. 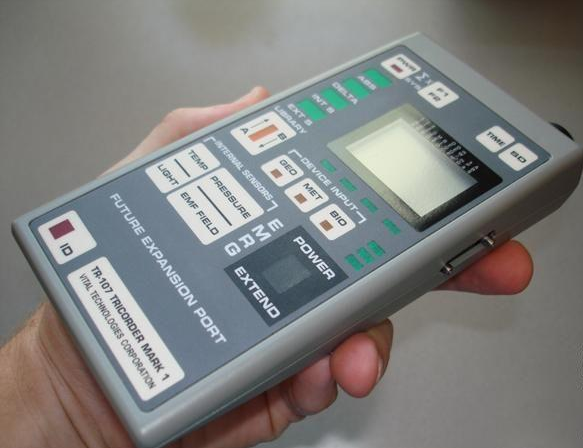 Yes the manufacturer was inspired by the Star Trek Tricorder. Yes it was even displayed in the Star Trek Exhibition that toured the world in 1995 but it was real, it never claimed to function as the fictional tricorder but have functions and sensors that really worked. It just so happens that 2 of the things that Parapsychologist detect and measure is changing air pressures and EMF readings. Both of which the Tricorder Mark 1 measure. Whether you believe in what they doing or even think they've been scammed or scamming others it seems very logical to me to use one meter that measures both rather than two. Who knows they may not even know it's connection to Star Trek although that is unlikely.